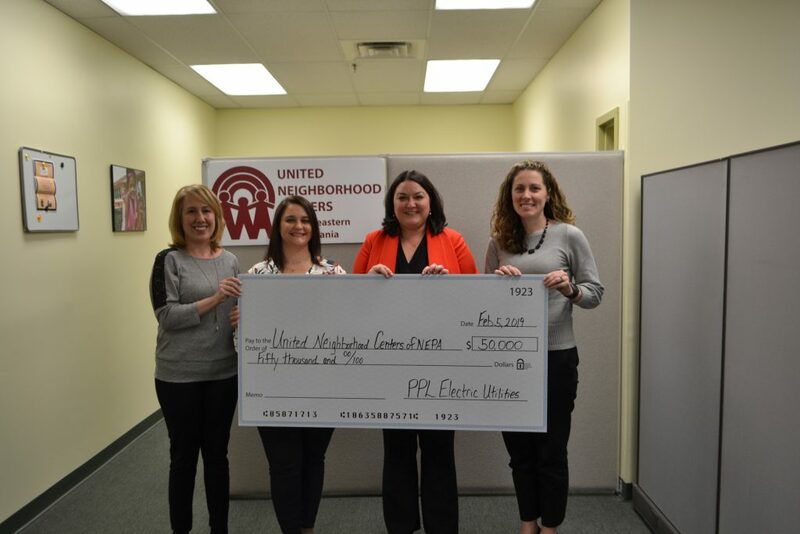 Angel's Attic accepted a generous donation this week from PPL Electric Utilities, collected by their northeast regional employees. They donated 213 pairs of socks and 9 scarves to our clothing pantry. We are very grateful, especially since you can never have too many socks! Many thanks to Community Bank for supporting the good work we do in our community by being a corporate sponsor. The support of our corporate sponsors allows us to work towards our mission of providing services and creating opportunities that empower individuals and build strong, interdependent communities. Thanks to Citizens Savings Bank for contributing to that mission! Thank you to Topp Business Solutions for being a 2019 corporate sponsor and supporting the good work we do in the community. Old Forge Manor Personal Care Home, a Saber Healthcare Group Facility, made a generous donation to UNC with the proceeds from their Annual Soup Sale. We are so grateful for their support!